The phrase “good and cheap” is like music to many Singaporeans’ ears, and that is probably why Thailand (specifically Bangkok) is one of the top weekend getaway destinations that locals love to escape to. 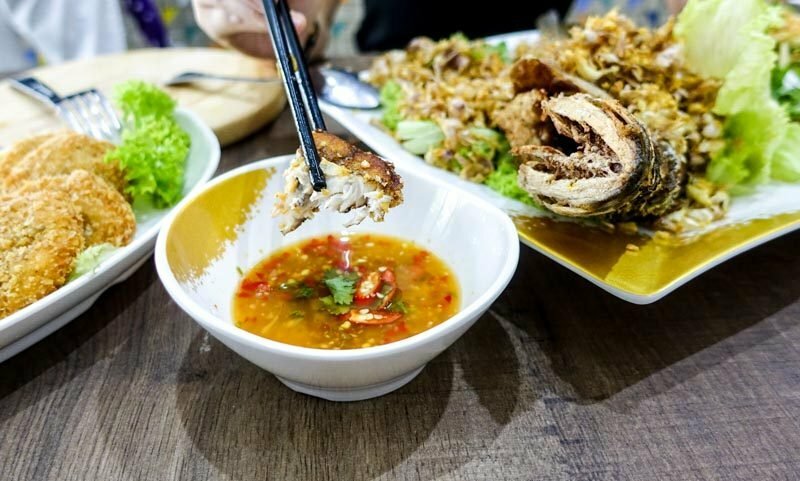 While there are many just-as-good Thai establishments here at home, one of the more popular ones we absolutely love to frequent is SOI 47 Thai Food. In addition to having just expanded their original outlet, they also have a second post now open! 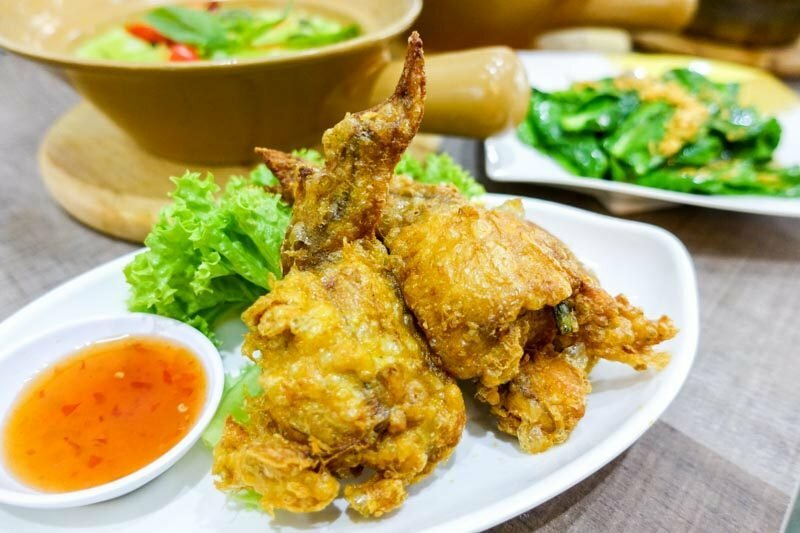 With a new outlet located in King George’s Avenue, you can now enjoy a hearty dose of authentic Thai cuisine just 10 minutes away from Lavender MRT station. 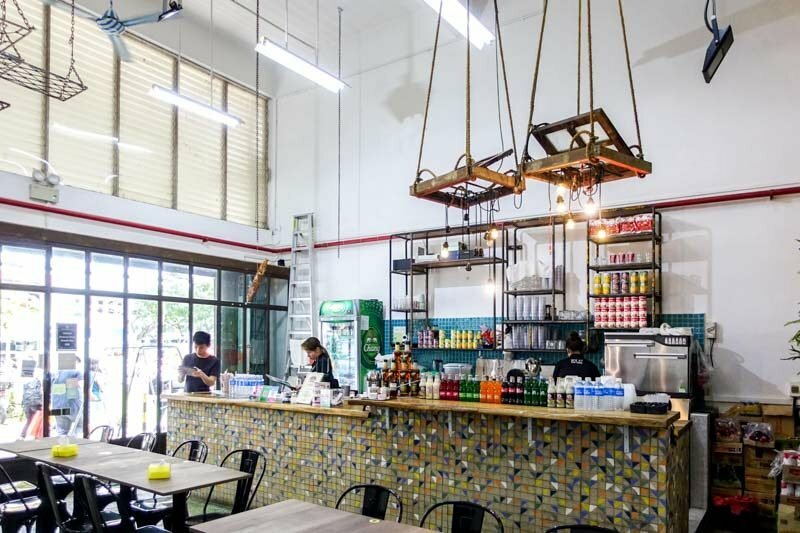 Its high ceilings and ample floor space allow for lots of natural light to fill the restaurant, highlighting the decorative bar area that greets you as you enter. Deep-fried starter? Yes, please! 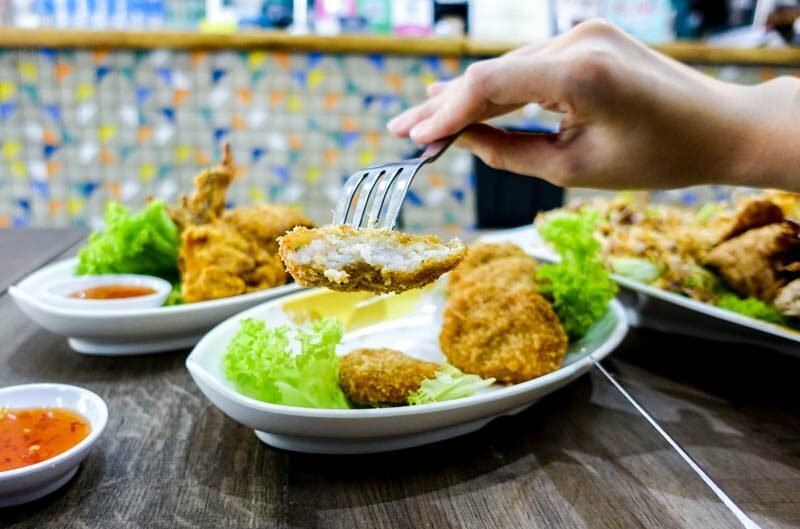 Their Homemade Breaded Prawn Cake (S$6 for four pieces) is a great way to kick off your meal. Encrusted in crunchy bread crumbs, the prawn cake was immensely flavourful and had a really nice chewiness to it. It’s hard not keep going back to these puck-sized bites, especially if you eat them while they’re still hot! 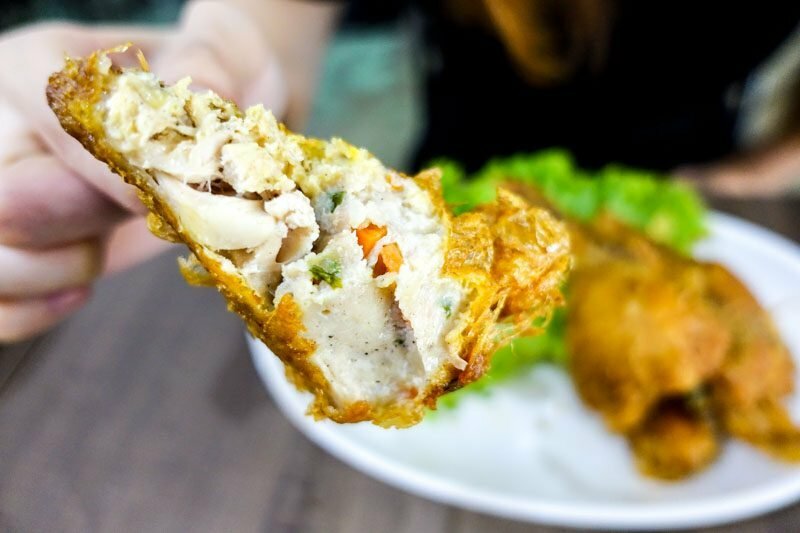 Another must-order snack is their Stuffed Chicken Wing With Minced Chicken (S$6.80 for three pieces). These juicy pieces of stuffed wings looked tantalising at first glance, and with that first bite, it just reaffirmed my initial impressions. The chicken wing was stuffed to the brim and even though it’s deep-fried, it wasn’t greasy at all. I could imagine this would make an ideal accompaniment to a crisp pint of beer. 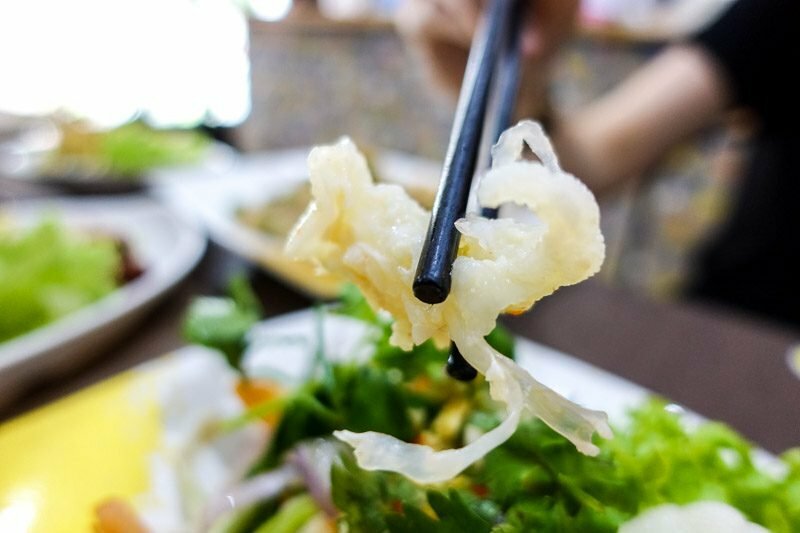 Looking for something else besides the rudimentary papaya salad? Give their Chicken Feet Salad (S$10) a go. If you’re a fan of chewing on the cartilage of chicken bones, you’ll love chicken feet (that’s my opinion, at least). The feet itself doesn’t have much flavour, which is why how it’s prepared is really important. In this salad, it’s done simply; dressed in sweet chilli and tossed together with onions and tomatoes. It’s refreshing and I enjoyed the jelly-like consistency of the chicken feet, even if it’s not everyone’s cup of tea. 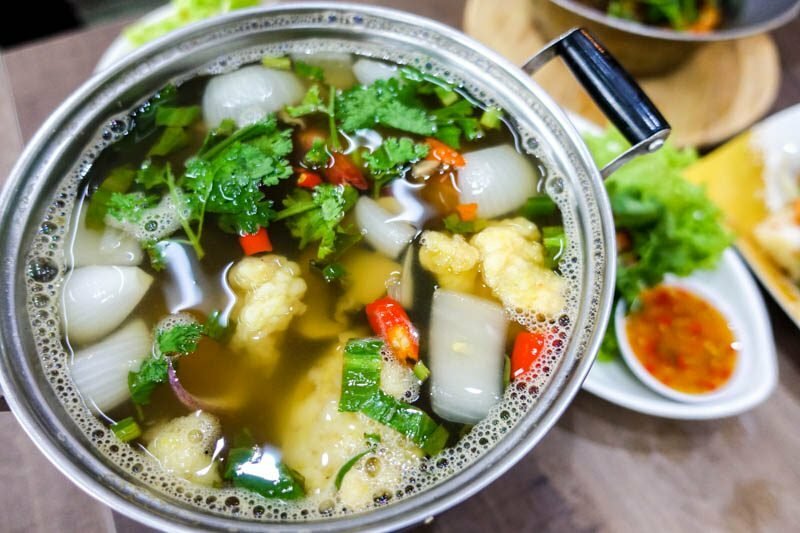 There’s no escaping this classic — the Tom Yam (Clear Style) With Seafood (S$6.80). SOI 47 Thai Food was certainly not stingy with ingredients, and the soup was brimming with flavour. The undeniable sweet-sour profile was comforting and proved to be addictive. I bet you’ve not seen a more impressive plate of fried fish like this one! 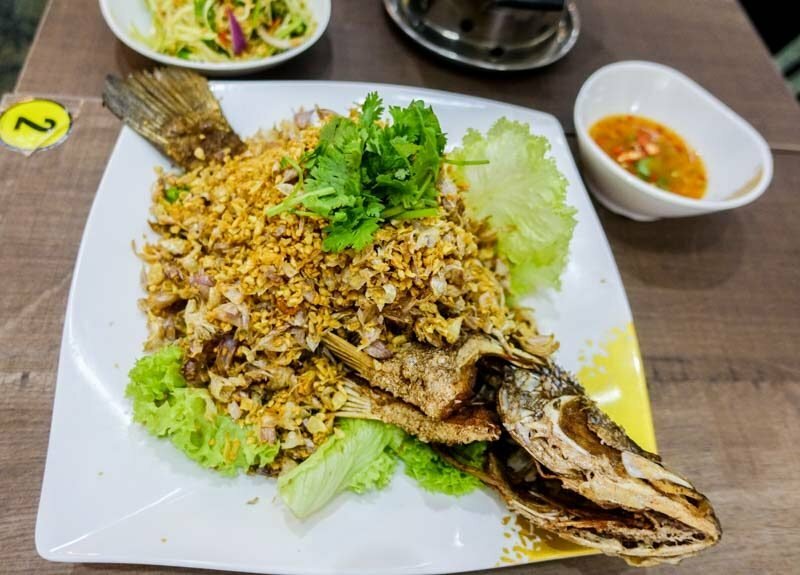 The Deep-fried Seabass With Baby Garlic (S$19), is served buried underneath a mountain of fried garlic for those who love an extra crunchy fried fish. As for the seabass itself, the flesh was incredibly flaky and naturally sweet, while its skin was satisfyingly crispy. 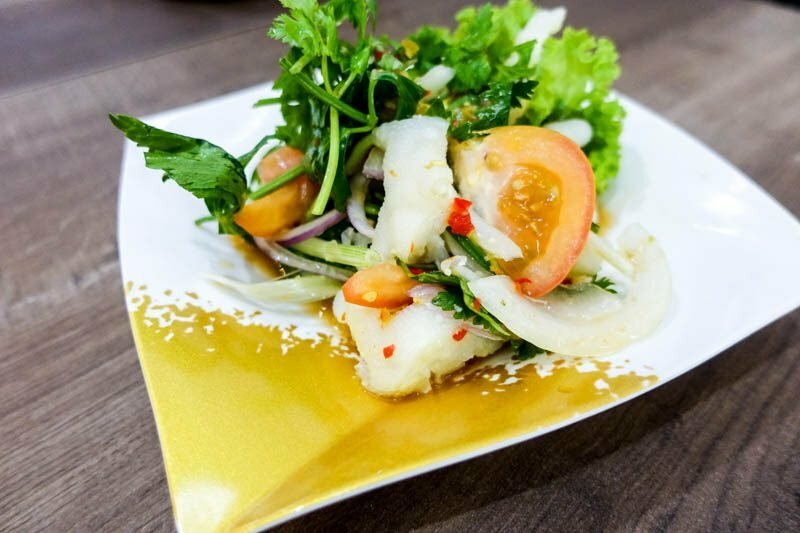 Together with the sweet chilli sauce, I would easily say this dish is a must-order for pescetarians and seafood lovers alike. One of my favourites of the afternoon was the Claypot Tang Hoon With Prawns (S$6). Firstly, for that price point, the portion is well worth every cent! Secondly, I have to say the aroma that wafts from this dish the moment it arrived took hold of my senses instantly; it was an unforgettable medley of smoky and sweet. 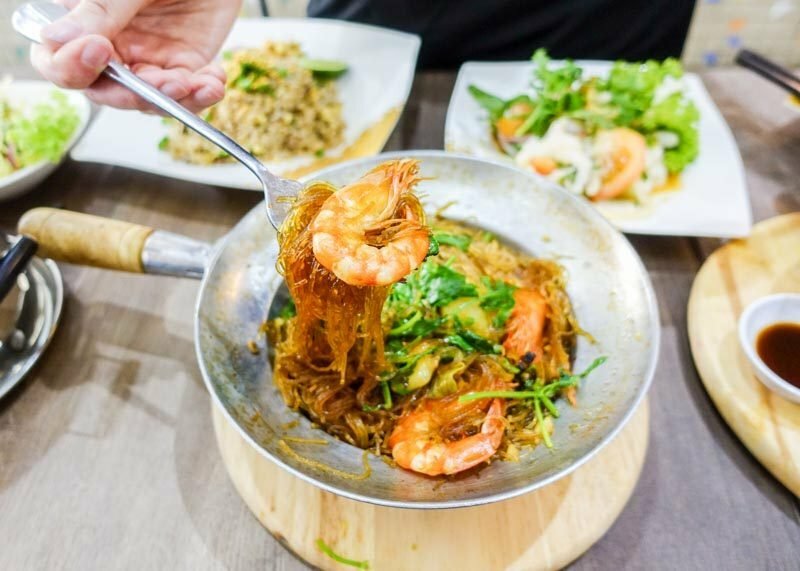 The noodles were springy and was made even tastier with the fresh, succulent prawns. Despite being a basic dish, this one takes the cake for being my favourite dish of them all. To add to the above top choice, their Green Curry With Prawns (S$10) won me over as well. 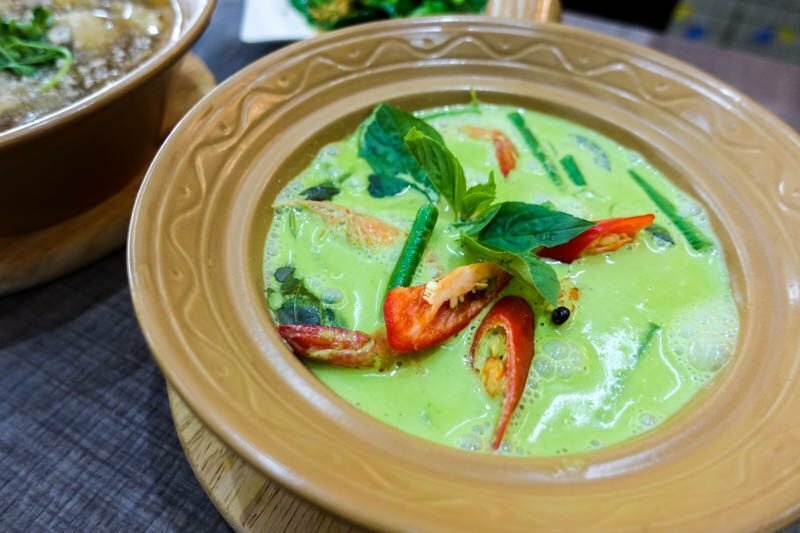 I personally love Thai green curry, so any chance I get to order it, I most likely will. At SOI 47 Thai Food, it is thick and creamy, just the way I like it. 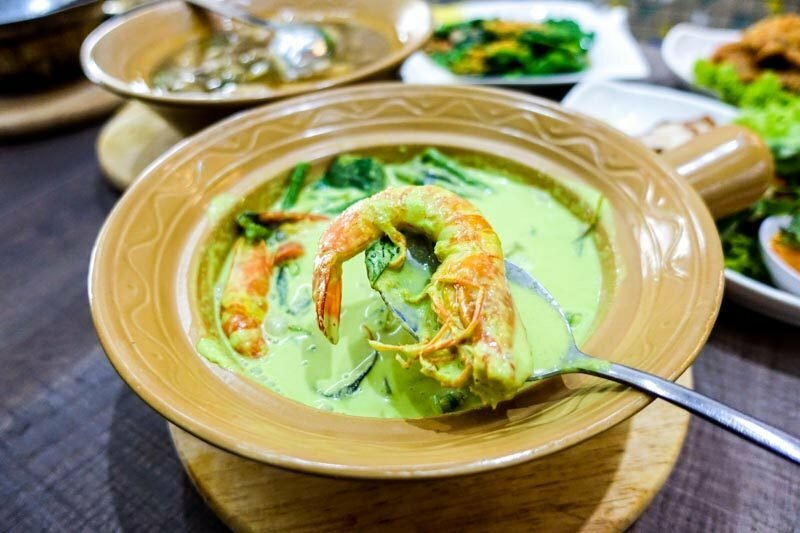 Once again, generous amounts of prawns filled the bowl, and the rich coconut milk really brought the dish together. It was aptly sweet, but also had a nice spicy kick to it which gradually grew on my palate the more green curry I enjoyed. 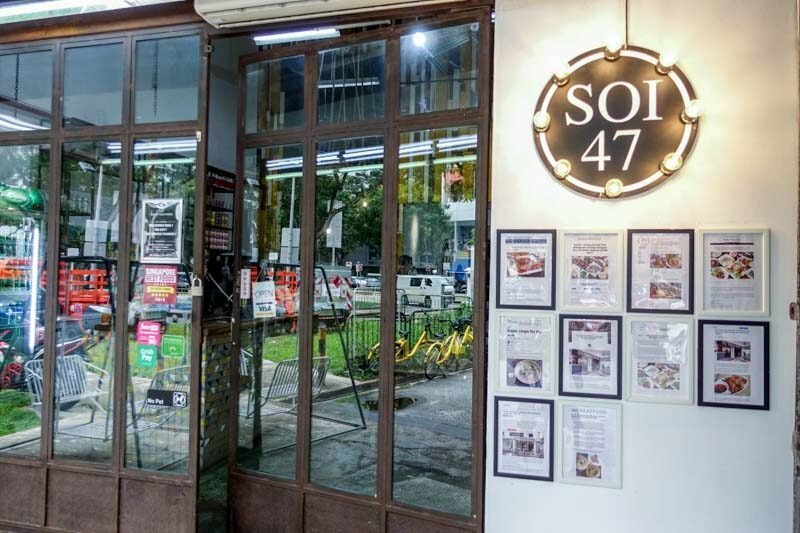 SOI 47 Thai Food may not be a new establishment, but the quality of the food remained consistent and its standards surpassed my expectations. 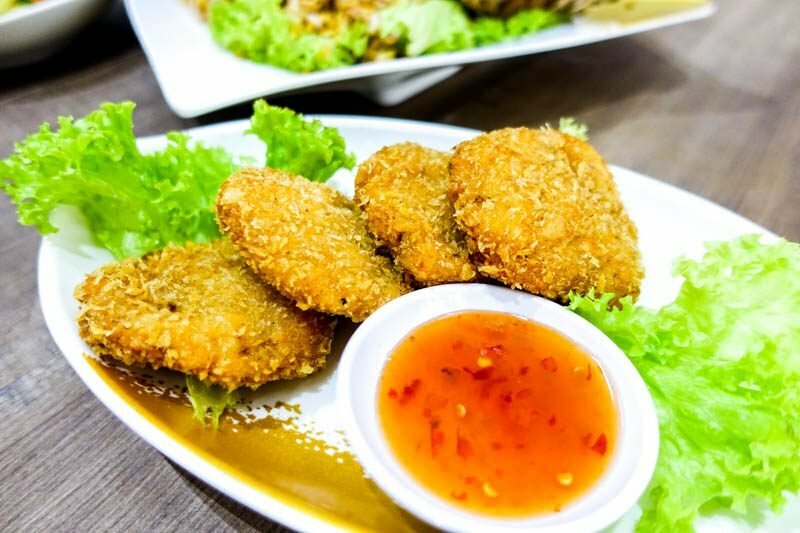 Its authenticity is backed by friendly Thai staff and recipes that speak of true Thai tradition. 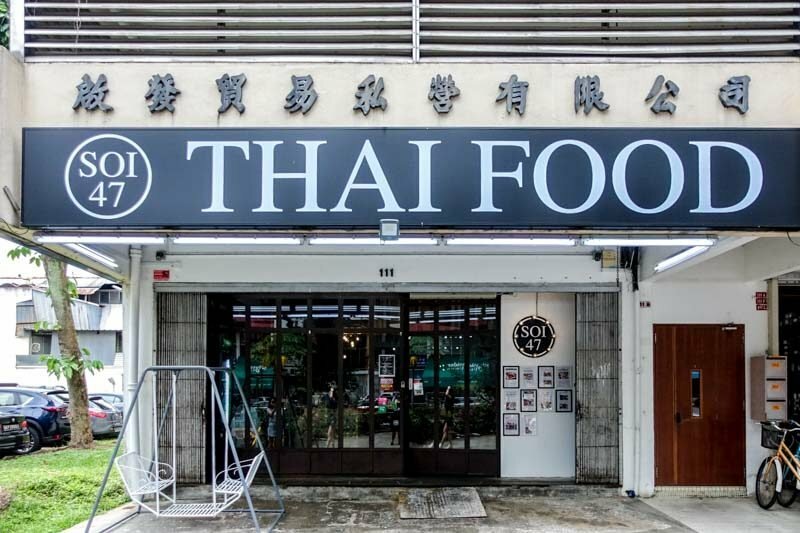 If you’re looking for truly a no-frills, no-nonsense and honest Thai eatery in Singapore, head here for some of the best Thai food I’ve had in awhile.